In New York, consumer insights provider Simmons Research has partnered with enterprise data firm Acxiom, to launch a programmatic solution allowing marketers to convert consumer research data into targetable segments across digital and addressable TV. The new 'Simmons Activate' solution taps into the research firm's partnership with Acxiom, making 140 of its branded segments available within the Acxiom Audience Cloud and the LiveRamp Data Store. Clients can run campaigns targeting these segments on their platform of choice, and create their own segments using a combination of Simmons data and / or proprietary surveys. Activate also allows clients to tap into more than 60,000 attributes available in the Simmons National Consumer Study (NCS), as well as any additional insights clients have gathered through custom surveys commissioned with the firm. 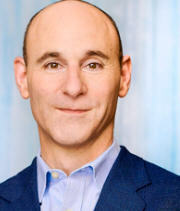 Andrew Feigenson (pictured), CEO of Simmons Research, comments: 'For decades, media buyers have used Simmons to create advanced consumer segments and plan traditional media. By partnering with Acxiom, we have now become real time. Our customers can use those segments throughout their workflow by activating them for advanced analytics and programmatic targeting'. Web sites: www.simmonsresearch.com and www.acxiom.com .